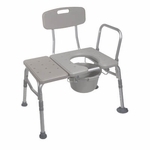 The Bathroom Safety Shower Chair by Drive Medical is guaranteed to improve your bathing experience. The back, seat and legs snap together making assembly a cinch without tools. 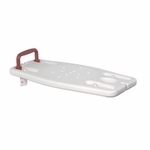 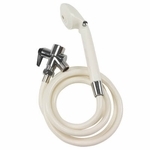 Manufactured with a corrosion proof durable aluminum frame which is strong and lightweight, this product provides maximum safety in the bathroom. 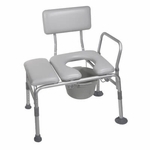 The seat and back were developed using recycled materials and were ergonomically designed with curves to offer support and add comfort. 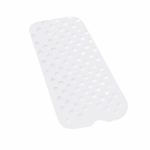 The seat has holes to allow for drainage and handles in order to reduce the risk of slipping. 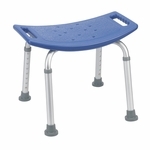 The shower chair has angled legs with suction style tips providing extra stability. 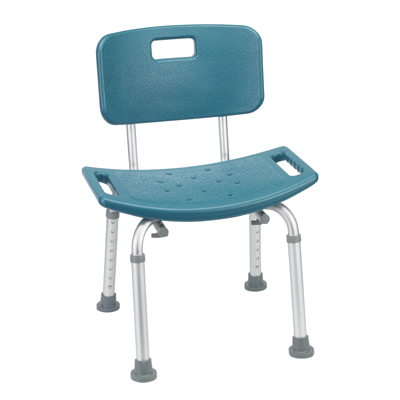 An additional feature of this chair is that the legs are height adjustable in order to meet your specific needs. 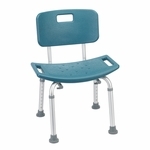 This chair is in an attractive teal and comes with a backrest.